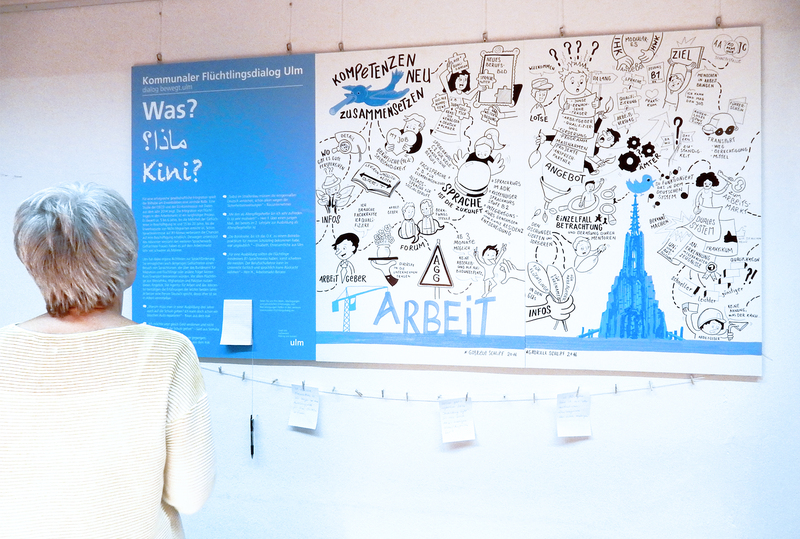 The City of Ulm designed a poster exhibition based on my graphic recordings. The 5 poster compositions inspire all visitors to participate and speak up. 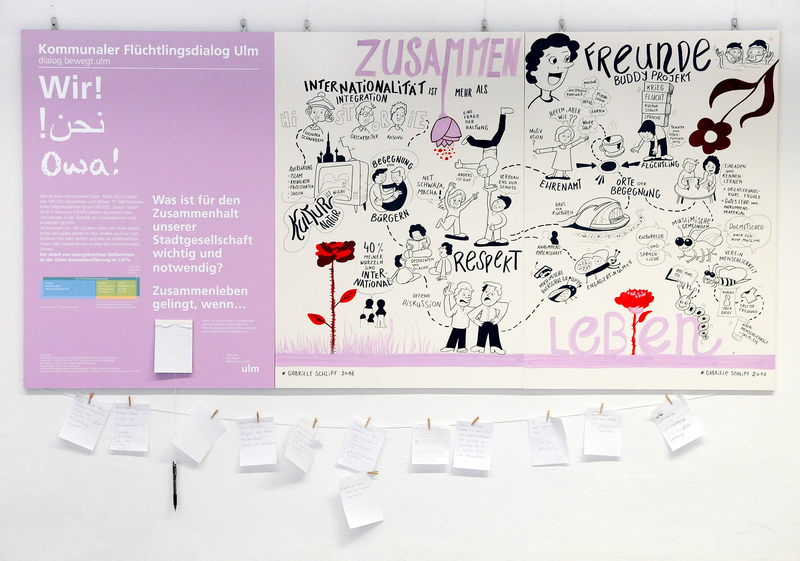 The visual protocols have been recorded during a workshop – with lately arrived citizens and established citizens – about their ideas of living together in Ulm. 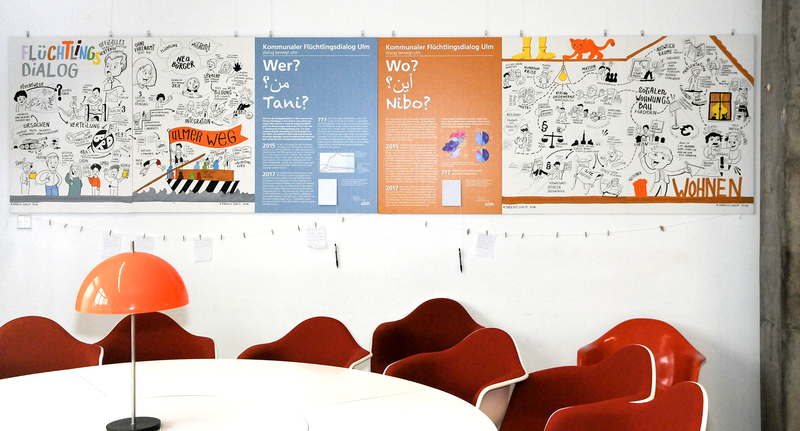 Gabriele Stautner and Frauke Vieregg enhanced the graphic recordings to wonderful posters.